At least 700 years ago, the town of Edam patented it’s namesake cheese. 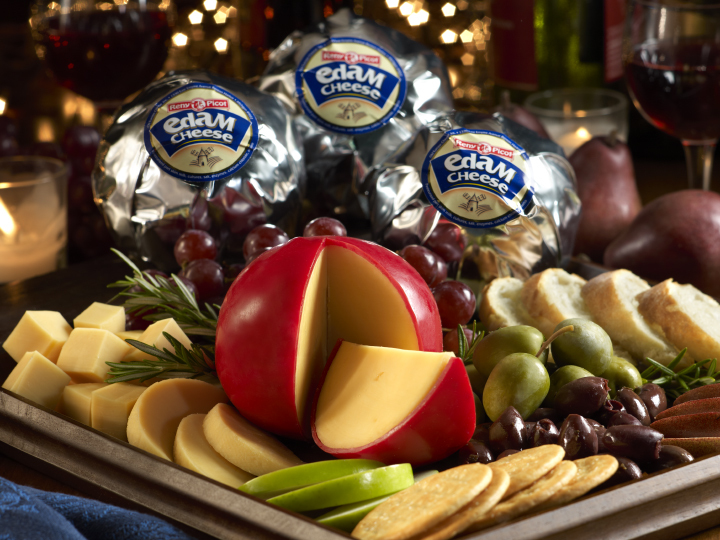 Between the 14th and 18th century, Edam was the most popular cheese in the world because of its ability to mature exceptionally well and because its round shape made it easy to load into the belly of a ship. During that time, Dutch traders would barter Edam for furs and spices offered by the colonies, thus making Edam cheese Holland’s largest export. 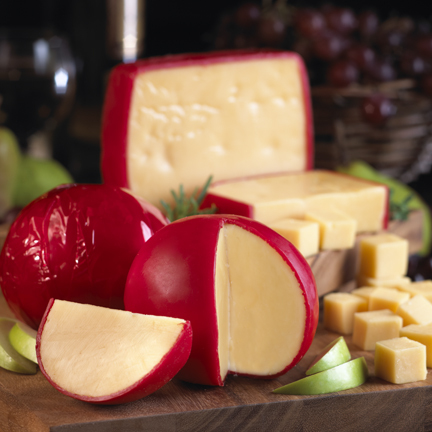 Edam is a semi-soft, pressed, uncooked, cows’ milk cheese coated in the signature bright red paraffin wax that is recognizable around the world. Most Edam has a distinctive spherical shape, which occurs because the cheese firms quickly before the interior has fully settled. For convenience purposes, Reny Picot has taken the same wonderful Edam that is known and loved and formed it into a slicing square format. 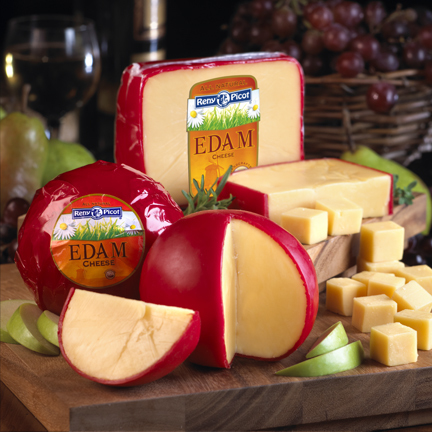 Edam straw colored paste is smooth and supple with a buttery, salty, mellow flavor which becomes slightly acidic and pronounced as the cheese ripens.